Imagine setting up an income stream that makes money for you for years to come. What if you set up 25 different streams? And every one of them pulled in a passive income for you month after month. I’ve sat down and gathered 25 different passive income ideas that you can start implementing TODAY. Everyone who wishes to be freed from the 9-to-5 job model should aim to receive passive income. Aside from starting a business, having multiple sources of passive income is one of the most realistic ways of becoming financially free. Many freelancers have been openly supporting this “passive income” movement because it’s all about a workable solution to scalability. It’s no secret that freelancers have to work double the time to make up for any day that makes it unable for him/her to work. Wouldn’t it be nice to sit back, relax and continue to earn (even measly cents at a time) even if we’re off on a sick day? I’ve researched 25 foolproof ways of making money in your sleep. This list doesn’t include passive income examples of businesses in the real world, so real estate, vending machine business, or a laundromat, and other similar business ideas. Instead, we’re focusing on ONLINE money-making ideas that can generate a passive income for you and your family in years to come. Many people began making money online through AdSense. It isn’t the highest-paying out of all passive income-generating models listed here, but it’s definitely one of the most reliable. If you crank content on your blog regularly and maintain focused on a specific niche (such as weight loss, parenting, beauty, etc. ), ads can become highly targeted. You earn cents from every click on the AdSense ads you post on your blog. It may seem small, but imagine having thousands of visitors clicking through your website day in, day out… those ‘measly’ cents would add up pretty quickly. To join Google AdSense, the publisher must be 18 years old (or above) and has maintained the blog for at least 6 months with high-quality content that follows AdSense policies and terms. Once you’re approved, you’ll be given an AdSense dashboard, where you can see all the stats and create ads to suit your needs (banner ads, text ads, etc.). Leave the ads alone and let it earn for you while you sleep; Google knows when you’re trying to game the system so don’t ever click your own ads. Technically, you don’t “set up and forget” a blog, but using affiliate marketing with a blog can be included in this list because you promote a product once, and you can receive commissions from this for months or years to come. Blogging about a product or service is one of the most popular ways to earn. All you need is a blog, a niche you’re interested in, and dedication to put in the work to publish posts regularly and market the blog to achieve much-needed traffic. You’ll need to join one or all affiliate marketing programs and find products that are related to your blog’s niche, and publish a review, informative piece, or any other promotion about that product with a link that redirects to that particular affiliate marketing program. You can receive about 5 to 20% commissions every time a person clicks on your link and makes a purchase. The cool thing about affiliate marketing is that there’s wide time allotted to your readers, which mean they could click a link from any of your promoted products, forget about it after a couple of days, continue making their purchase after two weeks, and you’d still be receiving commissions. 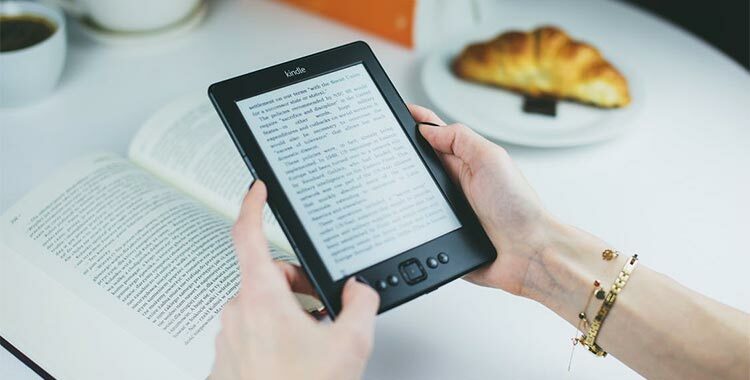 If you are an expert in any given topic and have a knack for writing, you can craft an eBook and share your knowledge to anyone who wishes to read your ebook. This can be anything from fiction like E.L. James’ “Fifty Shades of Grey” series, to non-fiction topics such as a “Making Money Online” ebook. Because you’d be in total control of the cover, number of pages, formatting, and everything in between, you’ll be spending much less than traditional publishing. You have several options once you’ve decided to “sell” your ebook – First, you can showcase it on your blog and let your readers have a go at it. Or second, submit the ebook to an online library along with other ebooks. As an ebook author, you can even create an affiliate program and let your readers sell the ebook for you. You’ll be paying them a piece of the sales, but you’ll have an army to help you promote the book for you. If you published your own ebook, you can create another income stream by turning this ebook into an audible book. Yes, you heard it right. You’ll just have to expand your target audience and offer your ebook to a market that depends largely on hearing, whether they’re on-the-go folks or visually-impaired. The coolest thing about turning an ebook into an audiobook? You’ll only be working for it once, and you get to double your earnings from the ebook sales. Some people don’t even write an ebook anymore. They just skip the ebook publishing steps altogether and go straight to audiobooks. We don’t recommend this though, since you’ll be leaving out an entire marketplace for nothing. When producing an audiobook, you can either use your own voice to record the narration, or hire someone to do it for you. You’d be amazed at the number of talent readily available in job boards like Fiverr.com. Dropshipping is an amazing ecommerce business model that lets an online store owner sell products without an inventory or storage facility. In order to make this work, the owner sets up connections to merchants who will handle everything from processing the order to shipping them out. In return, the dropshipping store owner either receives a cut from the sale, or is paid a referral fee by the merchant. A dropshipping online store can become a lucrative business, but it still requires a ton of work after set-up. In order to really turn this into a passive income-generating business, you’ll have to automate the whole process (from forwarding an order to sending the customer an email about his/her order details). Setting up the store is as easy as setting up any website or blog. 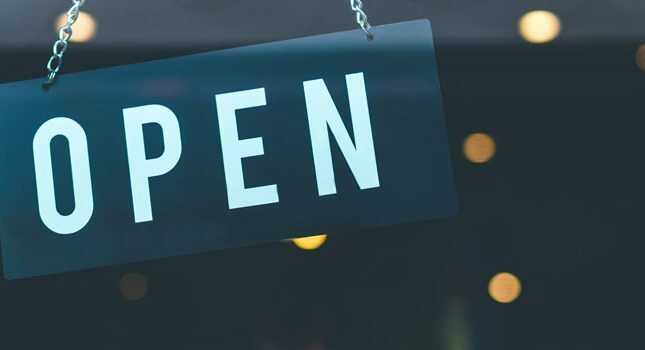 If you really want the easy way, you can even check out ready-made stores from providers like Shopify. Do note that because you’ll be hosting your store on Shopify’s database, Shopify gets a cut off from every sale. Selling online courses is similar to ebook and audiobook production, except that your goal is to create a more streamlined outline of content that’s best for educational purposes. Note that you should only be thinking about creating an online course if you have valuable information to share, the demand for it is there, and that you know who your competitions are within that niche. For those who are known in their respective fields, selling an online course through their own website will do just fine. However, if you’re new to the online-course market, the best route is to join sites like udemy and let them handle marketing for you. These sites accept text-based, video-based or a mixed-media course, so you’ll be able to take advantage of different teaching techniques. Selling courses on udemy does have its pros and cons, but since your courses that are hosted on udemy can be sold multiple times, you’ll have a continuous stream of income to enjoy even months after making your online course live. YouTube is a fascinating place wherein anyone can upload videos of themselves playing with their kids, doing makeup, sewing a dress, touring a place, and doing everything else under the sun. Some people upload videos just for fun, but the rest join YouTube to earn passive income. And why not? With 6-year-old kids reviewing toys on YouTube earning $11 million a year, why shouldn’t you take a slice of the YouTube pie too? 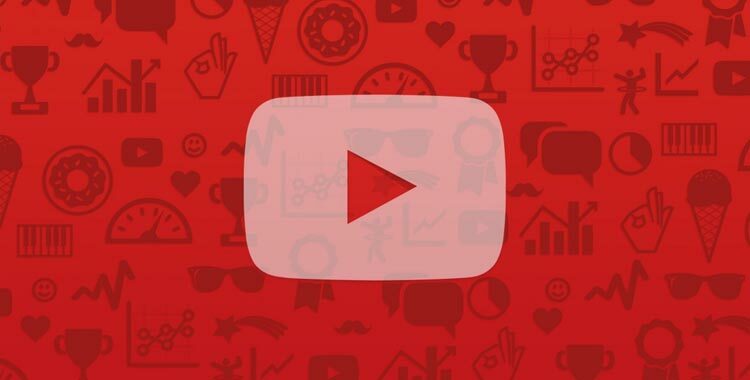 The main source of YouTubers’ income comes from Google’s YouTube Partnership Program, which is made available for accountholders with about 10,000 views on their YouTube channels. Once your account gets approved for this program, every video you upload on YouTube is served with AdSense ads and you earn from them continuously. There are other ways to take advantage of YouTube and earn from videos you’ve uploaded, but splashing ads on the videos is the most laidback approach and requires no additional effort. Apps continue to be a hot market, even if the Android and Apple markets seem to be overloaded with games, tools and tons of other apps. If you wish to get into this lucrative market, but don’t have the programming skills necessary to turn your app idea into a reality, don’t fret. You can always outsource the work to a capable programmer and retain ownership of the app. Or learn to do it yourself using an app builder (there are dozens available both free and paid). You can earn from mobile apps mainly through ads and in-app purchases, both of which provide passive income. 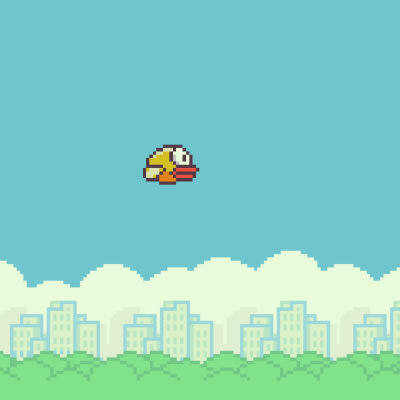 The only problem you’d have to tackle after app development is how to promote the app to everyone you know, but once you’ve learned how to build an app that makes you money, you can earn plenty of cash even while you sleep. A subscription site is more like gym membership, wherein people pay a monthly fee voluntarily to access valuable information, programs or any other product. In the case of gyms, it’s access to exercise equipment. But when you’re offering digital products, you can build a site that focuses primarily on anything under the sun from industry news to white paper reports, video tutorials from authority figures, webinars, and a whole lot more. People mostly join membership sites to learn something specific, so if you have an idea in mind that you think will have a good demand, this may be the passive income-generating business for you. Aside from the membership fees you’ll collect monthly, you could also serve AdSense or other ads into your site. You don’t need to be a pro photographer to turn your creativity into a money-making machine. Even those without a pro camera can take stunning pictures and sell them in exchange for royalties. It’s the oldest trick in the book (check out Getty and other official media sources), but with the internet opening up opportunities, you don’t have to be a journalist or someone popular to join in. Stock photography websites like Graphic River, iStockPhoto, Shutterstock and more welcome anyone willing to upload their photos and be paid a royalty every time another person buys a copy for digital use. The key here is to create photo sets with a specific theme that would be attractive to users, such as ‘Weight Loss’ sets or ‘Make Money Online’ set. The best thing about this is that you don’t have to do it in one go. 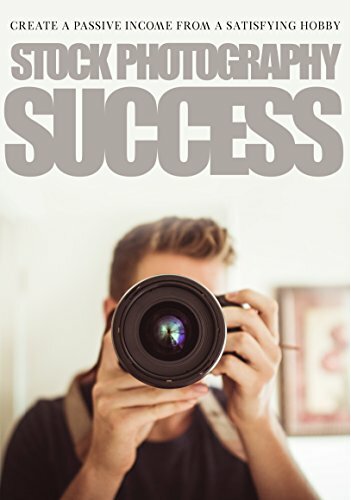 You can add one photo at a time to your library until you’re earning enough royalties to be able to quit your 9-to-5 job. Business owners know the importance of continuous new leads, since they’re basically what make any business survive. 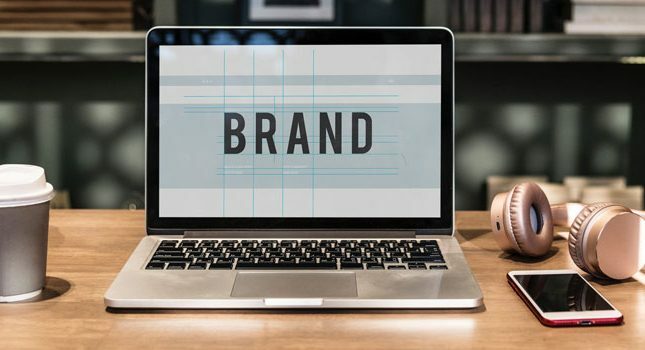 Those with an internet marketing experience can take advantage of this need and create a website (or two) that captures uber-specific leads, pile up their data, and sell to relevant businesses. For example, a wedding-related website that offers a free ‘Boho Chic Wedding Guide’ ebook can give out the book as a freebie in exchange for customer details that include a real name, e-mail address, or phone number. Once this website gathers enough customer information, the owner can contact wedding suppliers (wedding coordinators, photographers, etc.) who may be looking for new clients. It’s an interesting concept that has worked for many sites in the past. You do need to be aware of the ethics behind lead generation and how to handle customer data responsibly. Whether you have a website of your own or a huge list of email subscribers, running a newsletter campaign can be a success if you have the right idea. For example, sending out daily travel deals to people who love to travel will work wonders. You do have to find a unique twist or niche, such as that offered by Secret Flying (wherein deals are offered due to weird mistakes like long layovers. You can earn through newsletters by going the affiliate marketing route, opening up a lead generation business, or serving ads throughout your email campaign. If you have connections with businesses, you can even offer up ad slots and feature them on your newsletter in exchange for a fee. Buying domain names and flipping them continue to be a great business model even in 2018. There are people like Matt Stevens who are making a killing on flipping 10-dollar-domain names into $100 or $1000 worth domains, and it’s nothing but fascinating. Unfortunately, like those involved in real estate, you’d have to have a reasonable amount of experience flipping domain names in order to reach that level of success. There’s no huge secret when it comes to buying and selling domain names for huge profit. The key here involves brainstorming and presentation. What makes many domain flippers succeed in this business is that they focus on specific industries or go local. 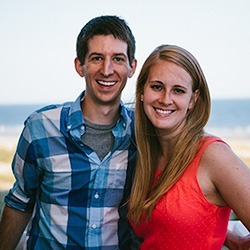 For example, these flippers make up domain ideas for local wedding business, and then present the domain to the targeted businesses after a couple of months. If the business owners bite, the flippers quickly earn double (or even triple) their investment. Creatives also have a chance to earn passive income through their artwork. If you’ve been working on web design elements like logos and banners for years, it would be easy to sell your work through sites like Icon Finder, Creative Market and Envato Market. If you offer freelance creative services to clients, your web design library you upload on these marketplaces can also serve as your portfolio. The cool thing about selling your digital goods is that you can do this on the side of a full-time job. It’s completely possible to host these digital goods on your own website, but since many of the marketplaces available handle the promotion side of things, you can just focus on creating your digital content and not worry about how to market your products to the world. With Print-On-Demand websites, anyone with creative juice can post their designs on the website like Threadless, Design by Humans and other PoD sites, wait for people to order a custom item, and get paid royalties for your design. The best thing about this business model is that once you’ve created the design, it is offered as a calendar, notebook, tshirt, hoodie, and a whole lot more. You wouldn’t even have to know how these products are manufactured, or how your customer will receive the item. This is because the PoD site will handle everything for you. You’ll just sit back, focus on crafting your art, and wait for checks to arrive. Of course, the PoD site does get a huge chunk of the sale, and your “store” will be hosted on their website forever, but if you’re OK with these two downsides, then you can pretty much make a killing earning passively as a PoD designer. People who love to get paid to write can still earn passive income, even without maintaining their own blogs. If you’re someone who wishes to earn from writing, but don’t know where to start, all you have to do is join revenue-sharing sites. These sites are made specifically to provide a community of authors a place to share their knowledge and earn passively through ads posted on your work. No domain name or hosting expenses – Because you didn’t choose to set-up a blog, it also means you’re free from the monthly or annual fees associated with maintaining a self-hosted website. No need to think about traffic – The revenue-sharing sites will technically handle most of the traffic-generating tasks for you. This could mean paying for traffic, or performing search engine optimization (SEO) techniques continuously. It’s great if you’re just starting out with no funds for ads, or if you find internet marketing complicated. Earn passively – As long as the website is live and offering shared revenue to authors, you’ll be paid every month for every article that gets published on the site. Revenue-sharing sites have different policies. For example, InfoBarrel used to require authors to have Google AdSense accounts (wherein 75% goes to the author and 25% stays with InfoBarrel). As of 2018, InfoBarrel now pays authors directly thanks to IB Ads system and PayPal. Others have 20/80 payment ratios. If you really want to build a portfolio of digital assets, but have no time for actual web development, content writing, and internet marketing, your best bet is to buy an existing blog and go from there. The main disadvantage of this “short cut” is you’ll be investing quite a lot of money, starting from $1,000 to $500,000. What’s great about going this route is that you can compare niches, income, level of work involved, and other details before you buy a blog. 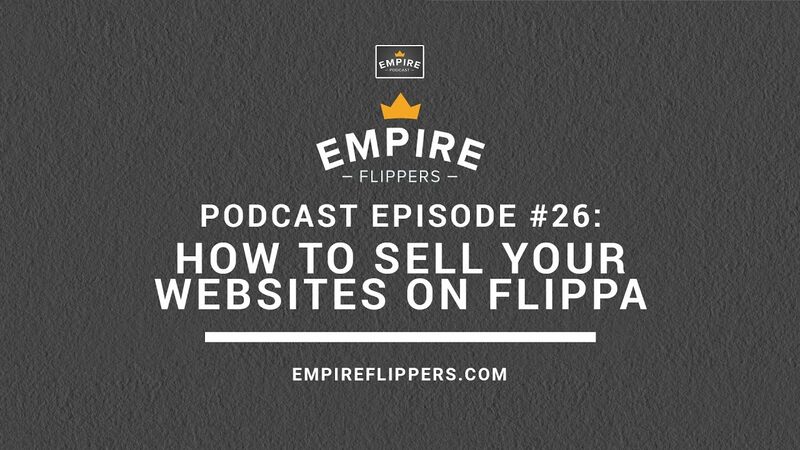 Website brokers like Flippa.com and Empire Flippers list sites for sale every day. 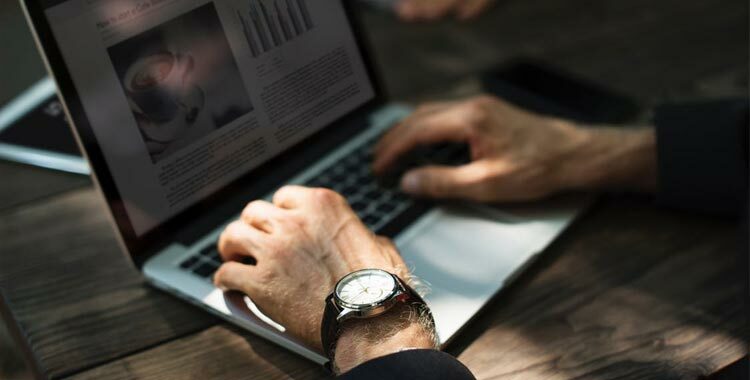 These brokers vet the seller’s proof of income, traffic details, and other important information before adding his/her site to the marketplace. Of course, as part of making sure you’re not scammed throughout the process, these website brokers take 12% to 15% in commissions upon successful sale. If you’ve made the right choice, buying a blog with existing income ensures that you’ll be able to earn money in the long run. In most cases, the seller also provides additional training or guidance as part of the sale, so you’ll be able to maintain (or even expand) the site’s monthly income. You do have to take the buying decision seriously, since most site brokers don’t offer a refund. Personal Investing – Betterment provides “optimized investment returns” for IRA, 401k and rollover accounts. What’s great about it is that you can start investing any amount, and Betterment would auto “rebalance” your account for you. If you have $50,000 or more to invest, you can take advantage of having your own financial advisor at Vanguard. The wealth management tools offered by Personal Capital are exceptionally impressive, but it does require a minimum of $100k to invest. Peer-to-Peer Lending – If you want to lend other people money to earn interest over time, but is scared of not being able to get the money back, peer-to-peer lending can be the solution you’re looking for. Check out Prosper, Lending Club, or other similar sites if you’re interested in becoming a legit loan shark, but lesser risks associated with traditional loans. Real estate lending – This type of investment is similar to peer-to-peer lending, except you’ll be lending your money to companies and entrepreneurs who need extra financing for real estate projects. Awesome examples of this are PeerStreet (that lets you join for only $1k to start) and RealtyShares (with $5k minimum investment). What’s great about these investment opportunities is that you don’t have to visit the bank or company to invest your money – everything can be done online. If you’re scared of the commitment level involved in maintaining a blog, or have no extra funds yet to buy an existing website, you still have another option: create an extensive guide on something you already know and mix several passive income-generating techniques into that single website. You may want to check out internet marketing guru Pat Flynn and his niche project SecurityGuardTrainingHQ.com for this. 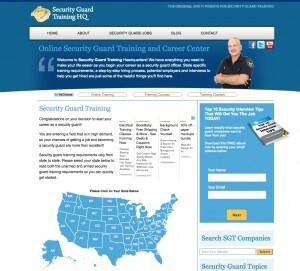 The website is all about security guard training in the United States. The site greets you with a map, which you can click by state to learn about all details you need for security training in Texas or California, and so on. Other applicable sub-niche topics include travel guides to a specific city (not country), how-to home improvement guides for plumbing, electrical, etc., a review site that showcases or compares various products similar to Miss Mamie’s Cupcakes and a whole lot more. When you’re done with the content and set-up, the comprehensive guide can generate income on its own. You can add videos, pictures, articles to bump up monthly earnings in the future, or you can leave it earning cash while you sleep. It’s totally up to you. 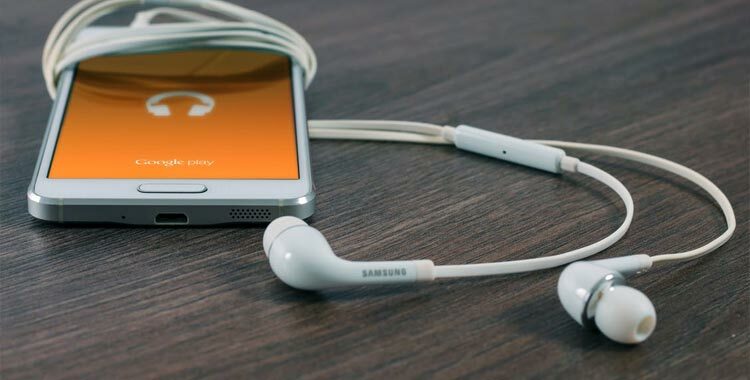 Podcasting is the recording of digital audio made available for live broadcast or for downloading to a mobile device or computer. It is similar to radio shows, except that podcasts use the internet instead of going through the air waves. Squeeze in affiliate links everywhere (when you recommend a product on your show, it would automatically be translated into written form. Make sure your transcriber includes hyperlinks to redirect your “listeners” to the affiliate merchant. If you’re hosting a podcast on your blog, serve AdSense ads as well. Unfortunately, earning passively from podcasting won’t happen just to anyone. You should have at least a significant amount of followers to be able to earn month after month from podcasts you’ve done in the past. For web designers and developers who are looking for a way to earn while they sleep, here are two tried-and-tested ways you can do it by taking advantage of WordPress’ popularity. Build plugins – If you’re a WordPress user, you’ll know that plugins make the entire WP completely customizable to your needs. While many plugin develops offer these “apps” for free on the WordPress.org plugin directory, if your plugin serves a unique purpose and solves a particular problem, then you could offer it as a premium plugin and earn from the plugin continuously. Create themes – While you’ll need a knack for design, knowledge in SEO, and advanced programming skills, creating WordPress themes can be lucrative to the right person. It’s going to take more time than building plugins for WordPress, but since premium themes are priced much higher, it would lead to bigger earnings in the long run. In both cases, you can sell your WordPress products either on your own website or sites like MOJO Marketplace. Do note that the WordPress theme market can be a competitive one, so only go through this route if you’ve got the design or programming chops to get the attention of the WP crowd. Even musicians should think about earning passive income, especially since many of them don’t hold 9-to-5 jobs, or have employment with benefits. The oldest way of earning through music is to ensure that you have ownership to royalty rights. Fortunately, the process is easier today since you’d only have to register with a royalty collection company, which will be responsible in tracking a song’s usage in behalf of its clients. If you’re not a musician, but is looking for industries to invest in, you may want to buy royalty rights of music and get paid every time a radio station, movie, or any other media plays the song. The cool thing about investing in music is that royalty rights do not get affected by any financial markets, so the potential for passive income is always there. Find out what’s available in the market by checking out Royalty Exchange. It may sound like a tedious plan, especially since both a forum and job board are flocked by numerous people every day, but if you automate the process or outsource daily repetitive tasks, you can set-and-forget a forum or job board and earn passively for months or years to come. Build a forum – When you build a paid membership forum, people have to pay to get access into the community. Of course, you should be offering a space wherein they’d be able to learn valuable info, or talk to reputable people not available anywhere else. The cool thing about owning a forum is that you can set-up ads, paste affiliate links, and offer ad slots to anyone interested – and you can do this even if you’re not active in the forum. Build a job board – Like a forum, job boards can now be easily installed on any blog with just a WordPress plugin. You can set it up once and hire someone to man the board. You have an option of turning it into a paid job board, or seek other income-generating opportunities like ads and sponsored posts. This won’t work for new blogs though, since you’ll need a ton of followers to join the forum or job board. But if implemented properly, adding these spaces for your followers creates not only a special space for your readers, but also adds a no-brainer source of income for you. Aside from the most popular digital products like ebooks, audiobooks, tshirt designs, web design elements, and more, you’d be amazed by huge number of digital content types you can create and sell for passive income. These include vlogs and vines, polls, PDFs, wikis, white papers, literary works, cost sheet, editorial animation, news releases, quizzes, maps, pinterest posts, infographics, and a whole lot more. And what’s interesting with digital products is that every one of them can be sold either upfront or for royalties. You just need to find where to sell the type of digital content you’re planning to create, or build a marketing plan to bring noise to your product. It may sound so outdated, but accepting donations still work in 2018. You’d be surprised by the generosity of your readers, especially if you’ve been providing information, entertainment, or any kind of your work for free. You are providing something of value. You make it easy for people to send money your way. Make it a 2-click or 3-step payment button. Add as many possible payment options. You share the donate button every once in a blue moon, but leave a link or donate button somewhere on your blog. Donations are popular for WordPress plugin and theme developers, since majority of these talents start out offering their work free. Cartoonists, such as Brian Gordon of Fowl Language Comics, have also maintained donation buttons or pages to support their work. We put donations at the end of this list because it can provide you with a passive income, but you shouldn’t rely on it too much since the amount you’d receive will rely only on your readers’ generosity. Just be grateful if someone donates any amount your way. Having an 9-to-5 job sounds so much better than being unemployed. But being stuck in a job that you don’t really love and more than likely won’t make you rich is the worse. Unfortunately, we’re all here trying to win the unbeatable rat race with regular jobs. To finally become financially free, you have to find ways to earn passive income. Earning money even while you sleep is completely possible, but people who have successfully done so had to put some conscious effort and work into getting there. If you are serious about running a business that earns income passively, you have to accept that the initial workload would be challenging. Don’t believe anyone that says building a passive income-generating business is easy. But the rewards are definitely worth the effort. Just imagine earning an extra $100, $500, $1000, or even up to $10,000 a month just because you’ve set-up multiple sources of income streams a few months back. What are you waiting for? List down the passive income ideas relevant to you, and start working on them now. Leave me a comment below and let me know what ideas you are pursuing and any success you’ve seen pursuing an idea so far. Etsy stores have an option where you can let the customer buy a print and download it directly from the site. This helps you earn passive income because you aren’t packing, shipping, or doing anything where you waste time. Earning passive income online where you can sit in bed or on a beach somewhere in the world I think is everyone’s dream. Notice all of these strategies that you listed don’t come easy. They all require a substantial amount of work, but man is it sure worth it in the end. In this article you don’t “sugarcoat” anything and you are honest. Great read, my friend and I hope you have a lifetime full of success in your future. Anything worthwhile isn’t easy, especially if you want to setup a stream of income that will last you for years to come. But you’re absolutely right, put in the work now and it will pay off for years to come. 25 real ideas for legit online income. You have done a great job by writing this informative article. I’m already in affiliate marketing and from my own experience I can say it 100 percent genuine. Apart from this, I would like to go for e-book writing and publishing. I know that, if I can produce one informative e-book then definitely I’ll earn passive income. Anyway, thanks a lot for your great article. Glad to have helped Himbru! Affiliate marketing is my go-to recommendation for passive income. Once you get your website up and ranked, it works 24/7 for you. It’s a thing of beauty really. Thank you kindly for creating and sharing those 25 awesome idea for generating a passsive income, it is absolutely appreciated. thanks. I am quite surprised that you did not mention cryptocurrency investing and trading or one of my fave and time tested centuries old way of earning a pssive income. Dividend paying shares. With input from readers, I can see this list growing. Generating passive income through crypto is definitely on my radar. The entire market is much too volatile at the moment for me to recommend it. I’m definitely keeping my eye on it though. There are really so many great ways to make money online and you have covered most of the popular passive income ideas. For me the problem is trying to decide because there are a few that I would like try from your list. Do you have any suggestions as to which has the greatest potential to work from home and get started reasonably? By far, affiliate marketing is my go-to recommendation for starting a passive business. Once you get a website up and running, it works for you 24 hours a day, 7 days a week and has the potential to bring in income for years down the road. Thanks Steve, this is a wonderful and comprehensive list. It’s awesome how technology and the Internet have enabled so much possibility. Another alternative that really has made a big splash this year in 2018 is passive income generated by investing into the Cryptocurrency space. I know it can has its own volatility but just like the Stock Market, if you do your homework, you can find very safe and stable options. One such option, is well positioned in the Cryptocurrency space and is the goto platform/service for the Cryptocurrency space called GIN coin. You’ve heard of turn-key houses in real estate, well Gin coin is the equivalent in the Cryptocurrency space. You also gain the passive income/growth from investing in the Gin coin platform itself (so you’re essentially double dipping). Blockchain technology is not going away and will be the wave of the future so don’t miss out. I enjoyed your post and see there is value packed inside of the 25 passive income ideas. My question for you, have you tried many different combinations of these to really see the most potential profit? I recently came across a website that covered every price point within one niche. Give away for the ebook, add people as a subscriber to email. Then market one or two courses with beginner, intermediate, and advanced. After that, for those still not satisfied you could make premium courses that utilize coaching, webinars, podcasts and so on. I’m all new to the online marketing business, but I would really like to learn to be more time and place independent regarding my work. There’s so much to explore in the realm of online business. All new ideas for me were the option of buying an existing blog. Sure thing, why not – it’s like any other business if you look at it that way. Dropshipping sounds interesting too. Do you have some examples of successful businesses who do this? Such an amazing article. I am a You Tuber and new in the field of blogging. I really like the way you explained things to us. I learned a lot just by reading your Post. It will be very useful for me. There’s so much to learn in order to be successful and it is so amazing that there are so many learning materials and tips out there such as this article. Thanks for sharing such insights. Great Work. Much appreciated. Keep it up. Steve, Coming from such an individual as you are who has been able to attain such a high level of success with running an online business, this article I found to be a treasure trove of ideas to readers who seriously want to earn passive income for themselves. Being a member of WA now for just over 3 years, it’s been in the back of my mind as I develop my business through the program to also get involved with other means of getting revenue for myself. You did mention one that I particularly liked, drop shipping. I have done reviews on a handful of companies that are in this type of business and your mention of Shopify especially. Through my own prior research, I believe that Shopify is one perhaps the most ethical and legit online companies that are dedicated to drop shipping. I just might dip my toes into trying to build some passive income for myself through another stream in addition to WA by taking a closer look myself at Shopify. While I probably will not pursue it, the idea that you also mentioned involving the creation of a lead generation business was excellent for the simple fact that being exposed to them myself prior to joining WA that involved a previous attempt on my part to create income online, I was exposed to a handful of these types of companies that were 100% fraudulent. I lost a lot of money with those scam programs. Instead with a person creating a completely legit lead generation company there would be no underestimating what a good service that he/she would be providing to people who seek to acquire them for their personal businesses. What amazed me is that, you can actually make money out of somebody else’s music. That’s really a WOW to me! I never thought about that, and it is only you here that explained or shared about that thing. Maybe I would consider doing that later as I really love music. I’m a music minded person!